Stoneleigh kit car show is the worlds biggest kit car show and i have to say it is one of the best events on my motoring calendar. So as you can imagine it is a big deal and I work very hard to get there. I also own www.muddybuggies.com and I am the club founder so I am slightly biassed towards the ABS Freestyle kit car as I have owned one since 2003 and I have loved every single moment of owning it… Unless I am broken down on the hard shoulder of the M25 in the rain. The journey for me to Stoneleigh use to be a nice easy drive from Milton Keynes all the way up to Stoneleigh but I now live right on the south coast and so a journey is now at least 3 hours long if its a good one and most of teh time I am looking at a 4 hour journey. Well I made it to stoneleigh on saturday and managed to get a good look round and see what was there and one thing that struck me as obvious was the amount of beach buggies at this years show… lots and lots of VW buggies!! 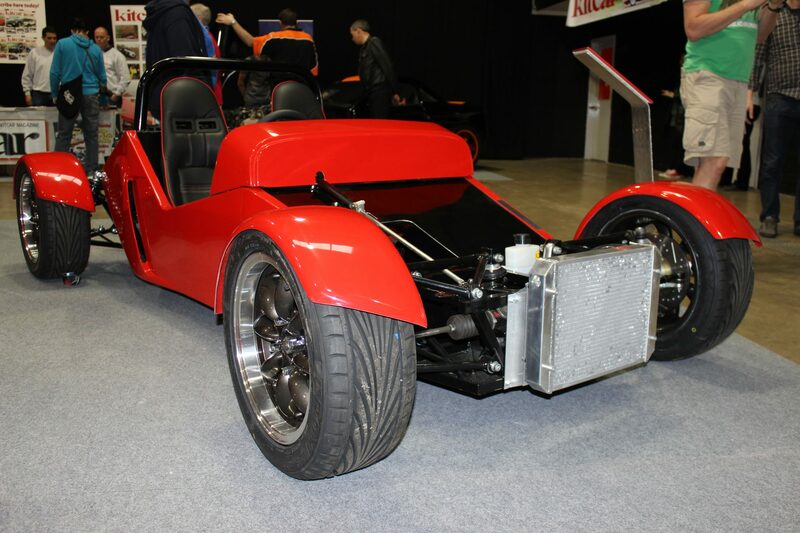 Well I walked into the hall at Stoneleigh and I was blown away by the RIOT kit car and instantly said to a friend wow… thats my next project… I am not going to talk too much about it now as I want to do a feature on it in a few weeks and I dont want to spoil it but i think you will like what you see. 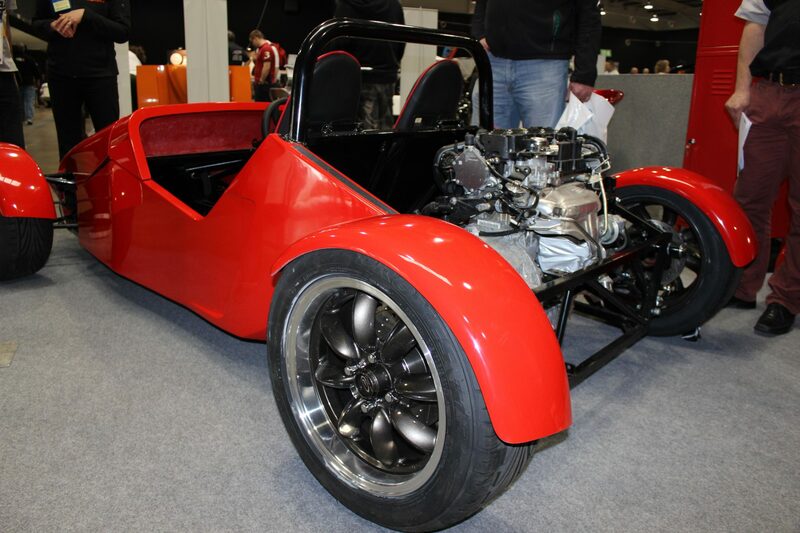 The Riot kit car using the a ford engine that is very reliable and efficient but produces tonnes of power and the car weighs nothing… it is going to be epic!! The Italian car club were there in all their fake Ferrari glory with the pimped out MR2’s and badly painted and finished cars while they were all the Ferrari merchandise and generally pretended to own a supercar. There was one chap who spent all weekend polishing it and yet it never left teh stand. But anyway I wont get into my pet hates about fake Ferraris and their DNA but none the less its definitely something I will pick up on in another article later. One of the kit car companies that I always pay close attention to and spend a lot of time looking around is the Ultima.. yes the ultimate kit car. If I had the space and a spare £50k then this would be the car for me but unfortunately the best thing I can do at the moment is stand a stare and take photos. One day I will get a ride in one and one day I may just own one but for now here is just a stunning photo of of one. This AC 3000 was quite an interesting little kit car that caught our eye and the owner told us it was a genuine car made by AC who also made the AC cobra.. but this AC 3000 is not actually a kit car but either way it is still a very nice car. It is being well looked aftered and treasured by its current owner. I love the kit car industry its always changing and it fuelled by petrol heads who want to go faster, further and by saving some money along the way. I hope you have enjoyed reading this and enjoyed some of the photos.